North Korea does not have the ability to strike the continental United States; the U.S. should not treat them as if they can. While the U.S. was seemingly distracted from the North Korean nuclear challenge by neo-Nazis in Charlottesville, Virginia, it may be useful to recall that according to a 2014 UN report there is in fact a country today where business as usual includes human rights abuses on a scale unparalleled in the modern world, including "crimes against humanity with strong resemblances to those committed by the Nazis," as reported in The Guardian. That country is North Korea, which has crossed the nuclear threshold and is developing the intercontinental ballistic missile (ICBM) capability to strike at the continental United States and its allies. In response to the challenge, some are now arguing that North Korea should be accepted as a member of the nuclear club and the U.S. should instead focus on a deterrence strategy similar to that which exists between America and Russia or China. Others on the political Left suggest that the U.S. should engage in a negotiation similar to that concluded with Iran in 2015. 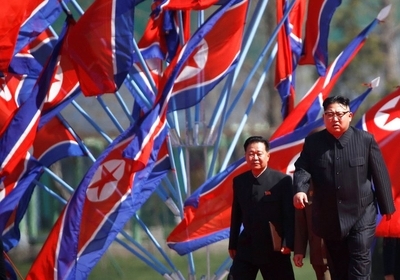 Their central arguments stem from a belief that North Korea can be deterred because its leader, Kim Jong-un, is a rational actor primarily concerned with his regime's survival. It is further argued that North Korea is not expansionist and has no extraterritorial designs. After all, it is South Korea that wants to reunify the peninsula, not the North. Lastly, the massive array of artillery that can strike Seoul and the some 30,000 American servicemen nearby at a moment's notice renders any plan to attack the North as too costly to consider. A closer look reveals several flaws with those assertions. Those advocating a strategy based on deterrence tend to rest their assumptions on an overly simplistic understanding of the national security and military doctrine known as Mutual Assured Destruction (MAD). This doctrine is based on the idea that each side has a nuclear arsenal capable of obliterating the other and that even a first strike, no matter how devastating, would be met with existential retaliation. It acts to restrain rational nuclear actors and limit aggressive behavior. Arguments favoring deterrence tend to downplay the history of proxy conflicts the U.S. and Soviet Union were involved in across the globe during the Cold War from 1947 until 1991 that resulted in the deaths of tens of thousands of people. The Middle East arena, Vietnam, the Indo-Pakistani war, the Cuban revolution and Afghanistan all spring to mind but represent only a small sample. The fact is the Korean conflict itself was one of the first arenas where the Cold War was fought. Such conflicts are byproducts of MAD. Mutual Assured Destruction deterred the United States, the USSR and China from going to war directly. But MAD does little to deter aggression that isn't seen as an existential threat. America's nuclear arsenal didn't prevent the Soviet Union from invading Afghanistan, Czechoslovakia and Hungary decades ago any more than it prevented Russian President Vladimir Putin's more recent invasions of Georgia and Ukraine or his annexation of Crimea. The same can be said for China's island game in the South China Sea. If Alaska or California is invaded or, as U.S. President Donald Trump recently indicated, if Guam comes under attack, that would approach one of the many newly issued red lines that would ensure massive U.S. retaliation. In other areas around the globe, discovering what hostile action would guarantee a prohibitive American response is the subject of constant Russian and Chinese probing. This reality highlights the importance of the NATO alliance and the extent to which Putin views that pact as ironclad. Likewise, American security assurances to Japan and Taiwan are also tested by China and North Korea. Membership in the MAD club allows for a wide array of adventurism and aggression short of a direct and suicidal war between two nuclear powers. Its membership is something the U.S. should work to prevent, not promote. Another issue with the deterrence rationale is that it doesn't take into account North Korea's nefarious role as a proliferator of weapons of mass destruction and missile technology. North Korea has been Iran and Syria's principal strategic partner for years. One should assume that regardless of any agreement currently in place – such as the nuclear deal with Iran – North Korea will share whatever weapons and technology it develops the next day. This fact alone casts a deepening shadow over what awaits America and its allies when it comes to Iran's quest for nuclear weapons. The Obama administration legalized Iran's nuclear program in exchange for temporary restrictions on production of nuclear weapons, without touching other aspects of the regime's behavior. The overwhelmingly flawed agreement is worth even less when considering that North Korea is ready and able to clandestinely assist Iran in circumventing the nuclear deal. The illicit arms trade is very important to Pyongyang. As Bruce Bechtol, North Korea expert and former senior intelligence analyst at the Defense Intelligence Agency recently put it, "Illicit activity is worth more than 40 percent of the real North Korean economy and of that 40 percent, more than two-thirds of it is weapons proliferation." That leaves some 60% of their economy as legitimate. The recently passed UN sanctions only target a third of their legal export income. It's hard to characterize such a paltry international response as equal to the threat it is supposed to address. Even though the menace in Pyongyang is not America's problem alone, the U.S. has more tools available that it could use short of kinetic action. A serious effort would include targeting China for its support of North Korea's ballistic missile and nuclear programs, along with its money laundering activities. Such action would have to go beyond sanctioning China's Bank of Dandong, the Dalian Global Unity Shipping Co Ltd and two Chinese nationals as the U.S. Treasury Department did at the end of June. According to Forbes, Chinese banks remain the largest financial institutions on earth. Evidence suggests that the behemoth Industrial and Commercial Bank of China is guilty of money laundering. Targeting the primary Chinese financial institutions would represent an economic earthquake that will help convince Beijing that the U.S. takes the North Korean threat seriously. Make no mistake, the threat the Kim regime poses is great and growing. North Korea is already believed to have a dozen nuclear warheads and left untouched, informed estimates project that by 2020 it will have stockpiled enough material to produce between 25 to 100 nuclear warheads. In the meantime, Kim Jong-un already possesses the full nuclear fuel cycle domestically and all that prevents Pyongyang from targeting the continental United States is mastering the warhead miniaturization process and perfecting long-range ballistic missiles. That has been its focus along with creating greater explosive yields using less fissile material per weapon. As frightening as the situation is, it is worth repeating that today North Korea does not have the ability to strike the continental United States; the U.S. should not treat them as if they can. American policy toward the communist Hermit Kingdom should not be about whether the Kim regime is expansionist when it comes to territory. What matters is that it is expanding the arsenal of the world's worst regimes who are themselves regional revisionists. To argue in favor of a security policy based on MAD is to court failure in the short term and allow that final weaponization threshold to be crossed with a safety net based on fallacies. It fails to use the economic leverage at America's disposal and repeats the recognizable mistakes made during the previous U.S. administration, which is tattooed all over the shameful nuclear deal with Iran. It will further encourage other rogue states to pursue nuclear weapons. It may have been wishful thinking in the 1990s to believe the U.S. stood at the vanguard of a new world order or to assume a new unipolar world with America at the helm was to be the rule, not the exception in history. Today the U.S. and its allies face an increasing list of less predictable adversaries. To suggest the answer to the nuclear question is to grant additional membership in the MAD club seems to resemble more a case of Stockholm Syndrome than an effective national security strategy.